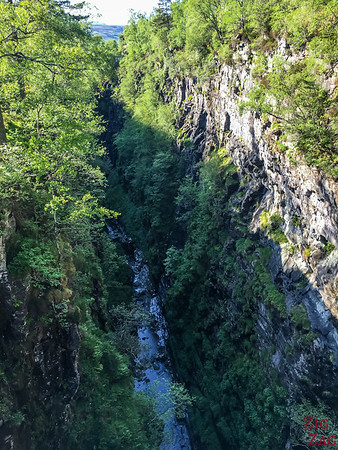 One of the most impressive location in North Scotland is a section of the Corrieshalloch gorge where River Droma plunge over 100m down, one of the drop being of 45 meters at the Falls of Measach. 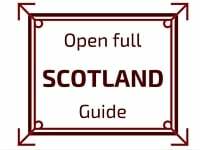 Below is my guide with photos, video and info to plan your visit. 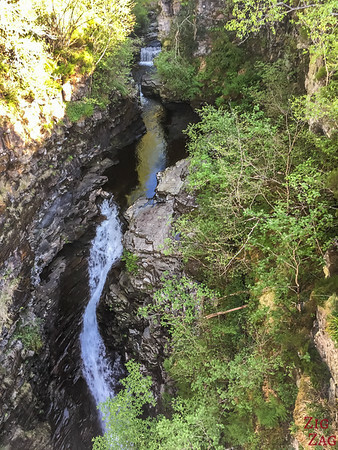 Let's start with short video showing you the force and height of the Falls of Measach in the narrow slot of the Corrieshallocch gorge. 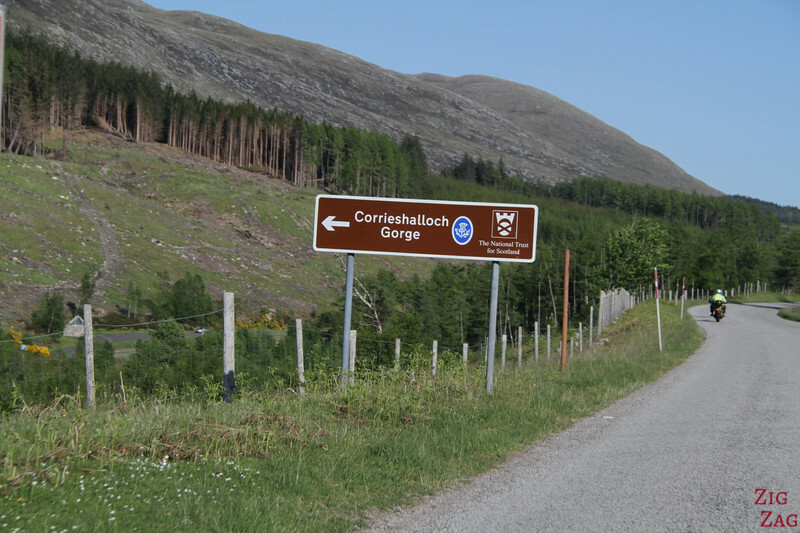 While driving on A835, most signs do not indicate the Falls of Measach but the Corrieshalloch Gorge. There is a parking and a gated entrance. 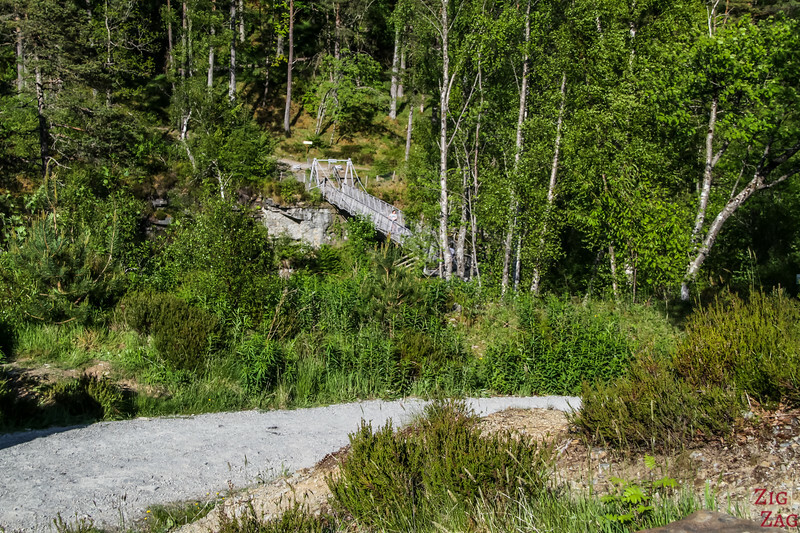 The path to the bridge is easy, well maintained and has a gently slope. 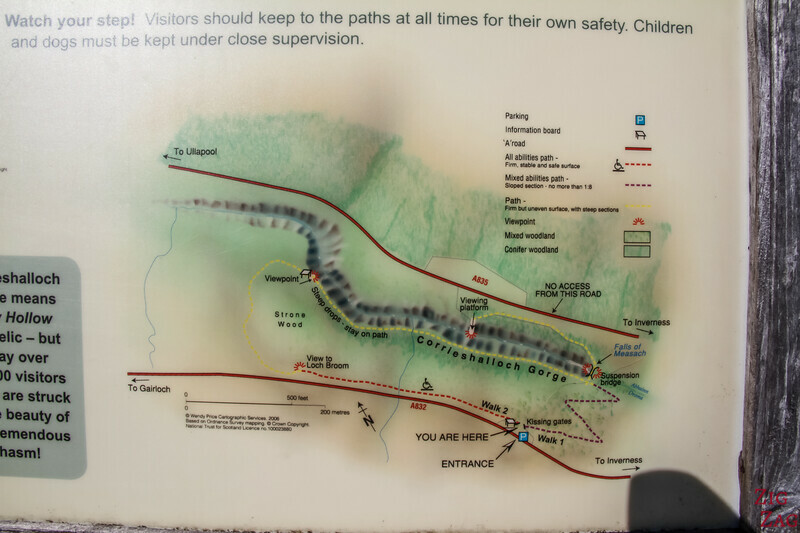 It will take you under 7 minutes (320m). 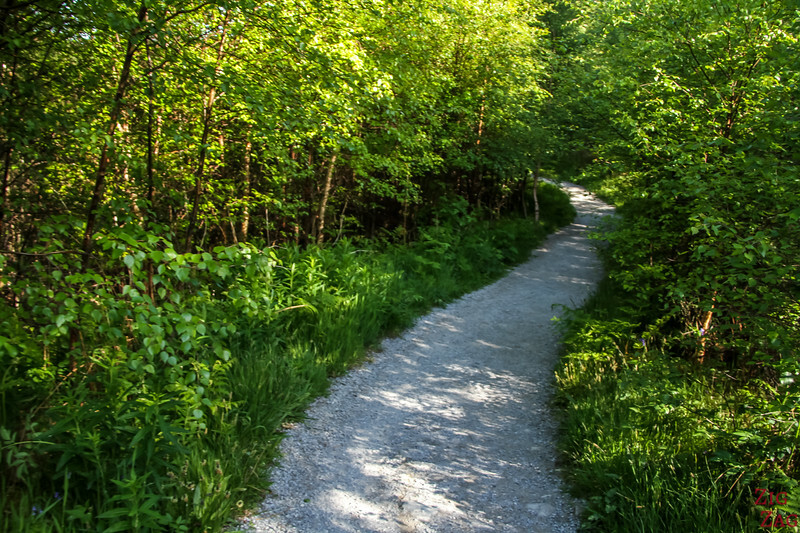 Access to the other viewpoints require to walk on steeper tracks. 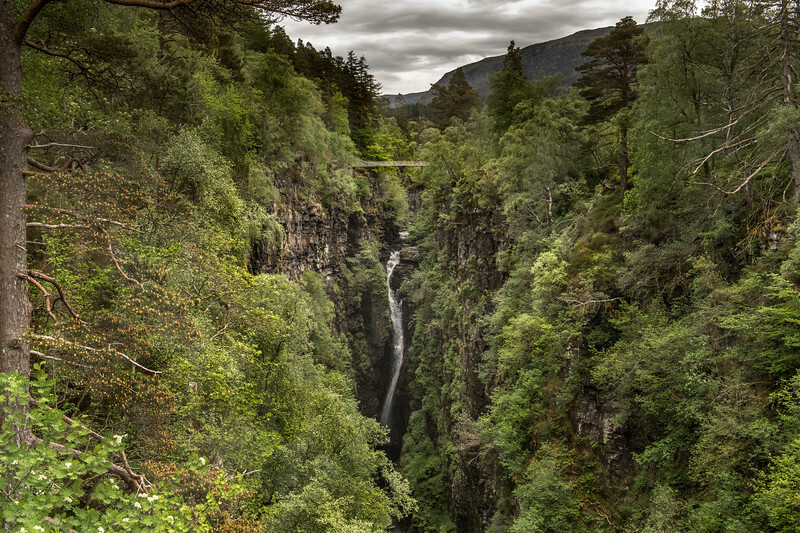 The best viewpoint is from the Corrieshalloch suspension bridge over the chasm (sorry this is the only picture I took of it, I was fascinated by the falls...). It was built in 1874 by Sir John Fowler. 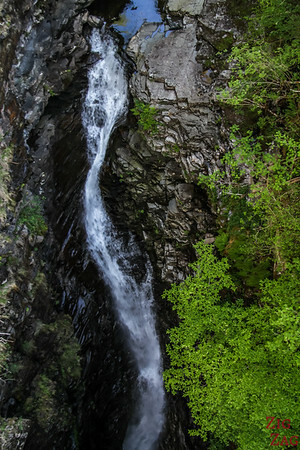 The Falls of Measach are located by a steep-sided chasm called Corrieshalloch gorge. This Gorge was not formed by the river currently running inside. It is thought to have been cut in the Ice Age by strong river flowing beneath a glacier. There are actually several waterfalls in the Gorge. They occur where layers of Rock are more resistant to erosion. From the bridge you clearly see the narrow chasm. On one side, at eye level you can see the river flowing into the big drop. 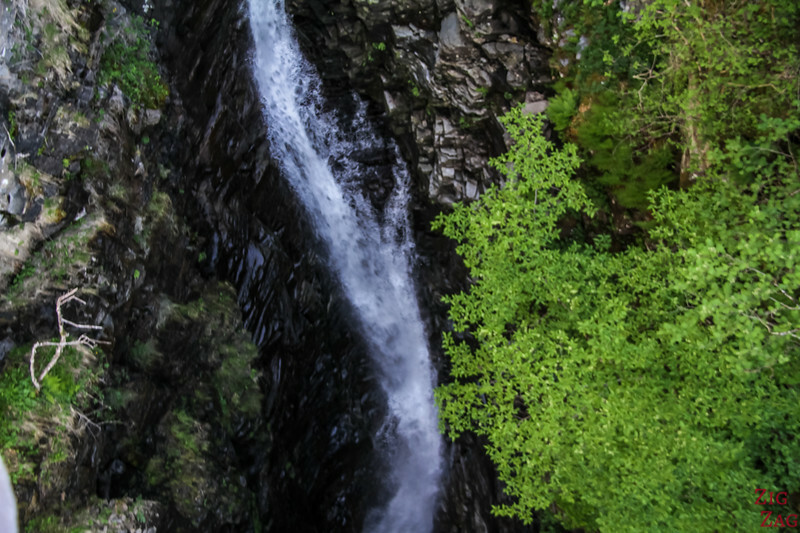 The main attraction of the place is the 45 drop of the Measach Falls. Being able to see it from above on the bridge is very impressive. If you have vertigo DO NOT GO on the bridge. This is really impressive and dizzying. The roar of the water plunging in the chasm and the green of the leaves surrounding it make the experience quite special. 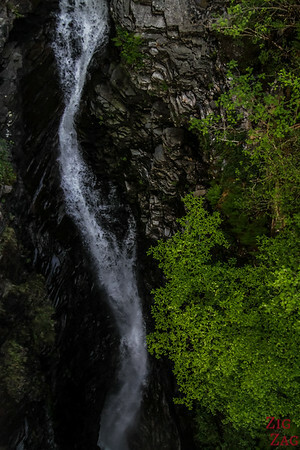 You almost see the bottom on these photos of the waterfall of Measach, this is a 45m drop!!!! Impressive drop don't you think?